As we all know, China has a large territory and 56 nationalities. Chinese food are divided into eight regional cuisines. 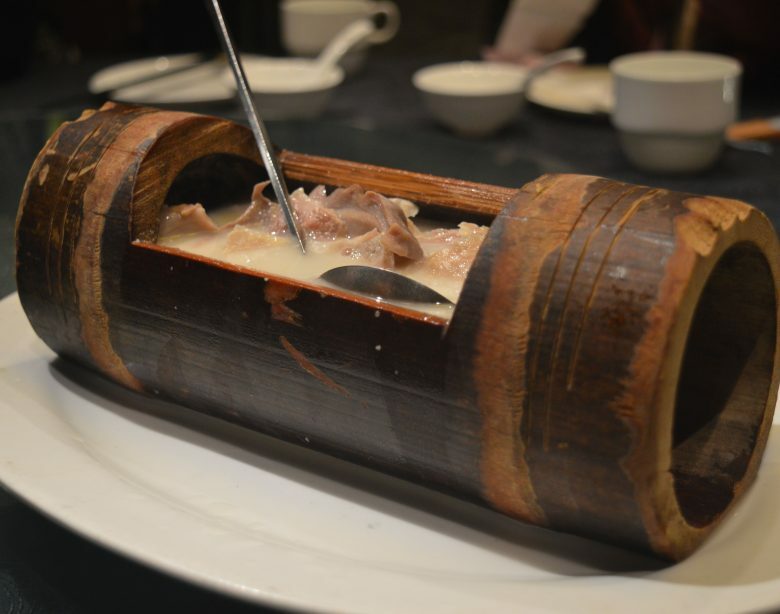 Huaiyang dishes are fantastic and mouthwatering flavor, and it is listed at the top of the state banquet. It is popular among the cities around Yangtze rivers. Huaiyang cuisine is famous for its native cooking style: keep the original flavor and the freshness of food. I have searched carefully on the internet to decide which restaurant should I visit. I found this restaurant “ShiWeiTian” is most suggested . When I arrived there, there are many tourists like me waiting for their dishes. These food requires intricate knife skills. It is so good to drink a delicious soup in this freezing weather. It tastes a little spicy as it is flavored with white pepper. Get a close look as it tastes so delicious. This dish tastes totally different as I imagine. I thought the fish skin is soft. But it is chewier. It is a traditional dish of the Huaiyang cuisine. Soft, fat but not greasy, rich nutrition. The main raw material is the crab and pork. Many Huaiyang dishes have stories behind them. A qualified Huaiyang chief may need the heart of a poet.